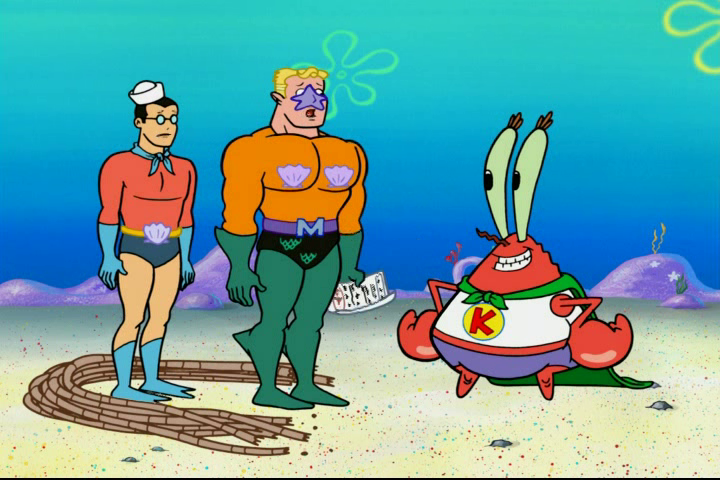 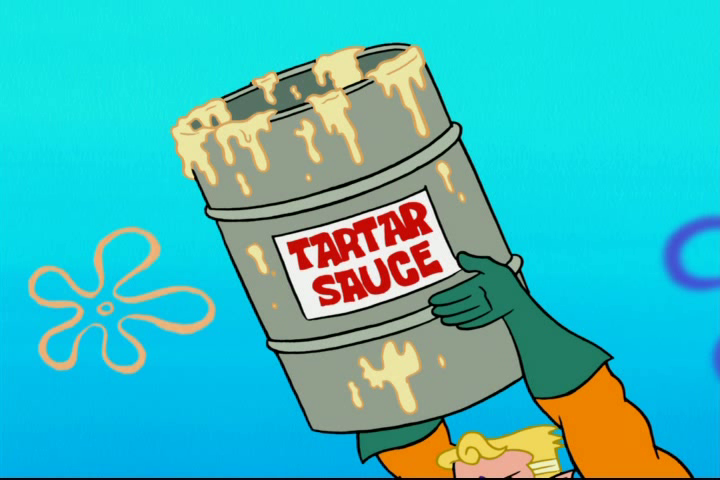 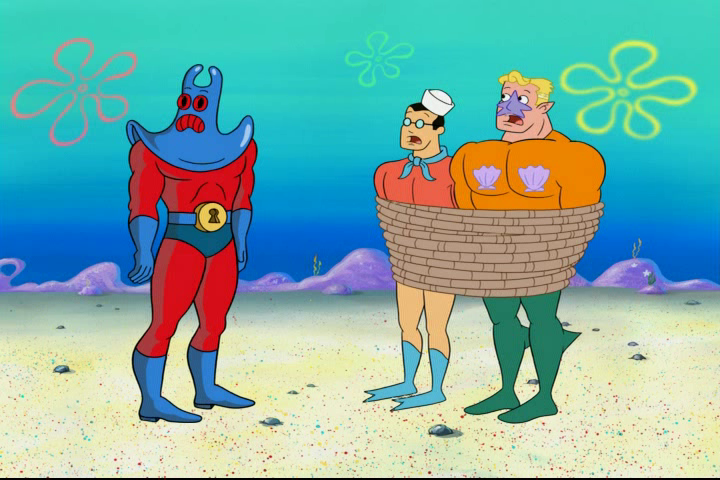 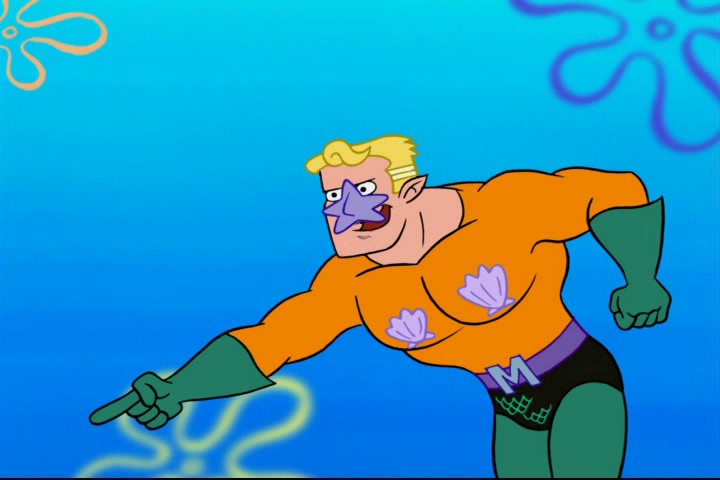 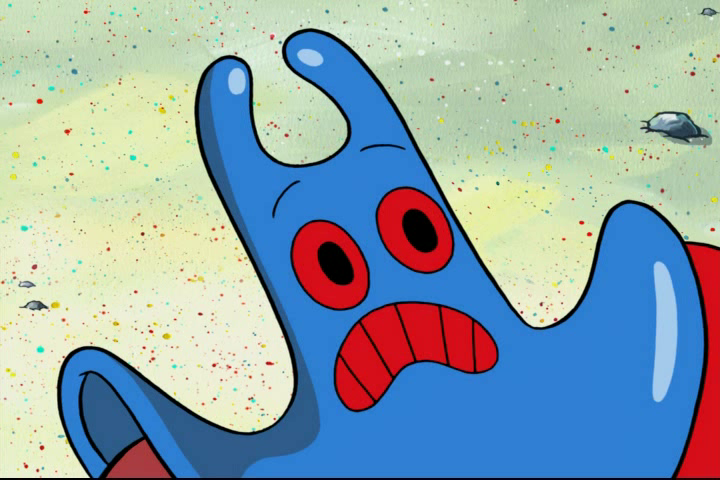 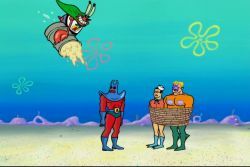 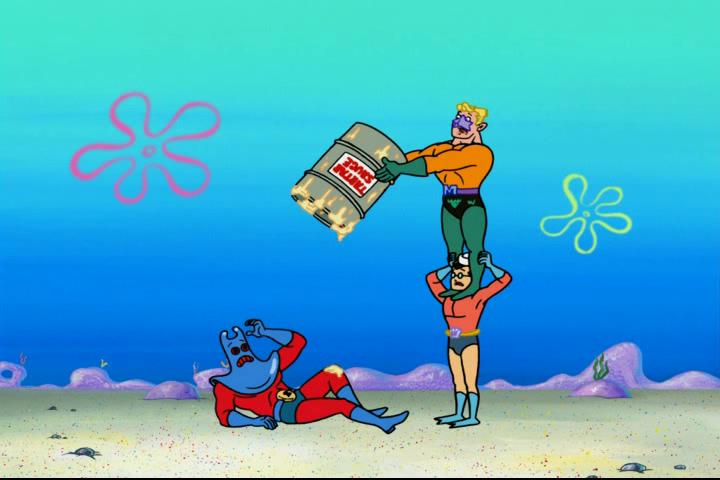 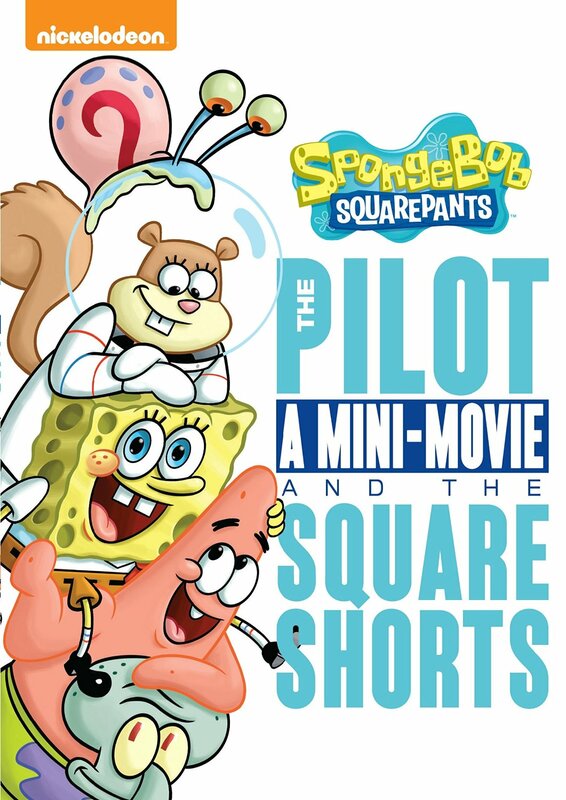 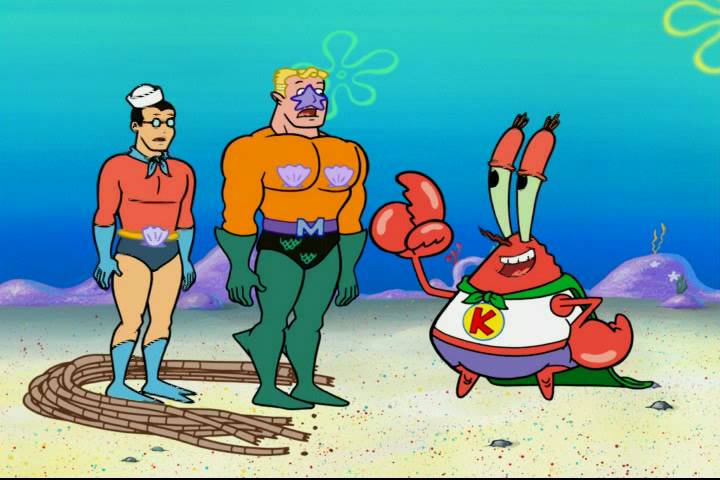 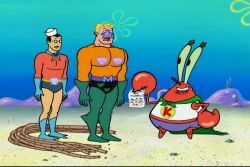 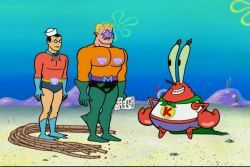 Plot: Mr. Krabs pours tartar sauce on ManRay. "Or I'll take it back. Now prepare for a heaping helping of quick-drying tartar sauce."